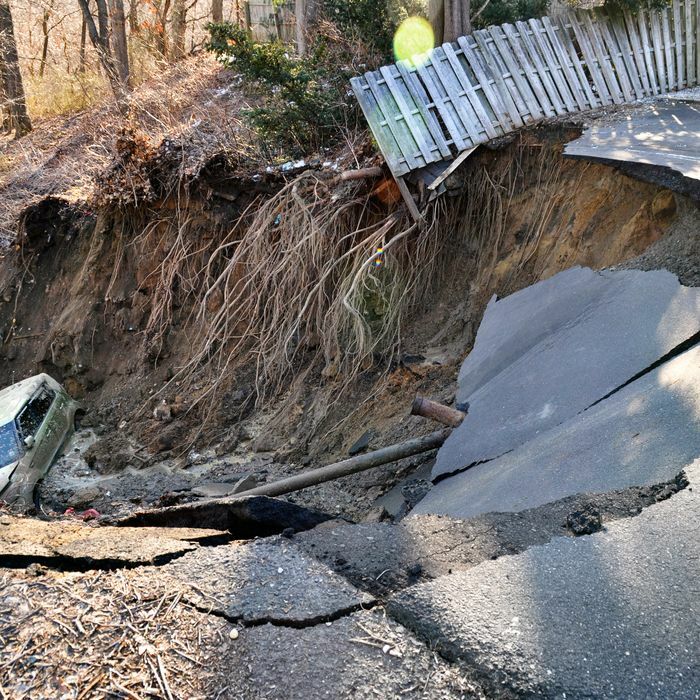 The bad news is a massive sinkhole opened up in a residential neighborhood in South Amboy, New Jersey, this morning. The worse news is: It’s still growing. The gigantic sinkhole is 20 feet deep and 15 feet across and has already claimed its first victim, a gold SUV. Authorities say the sinkhole, which stretches back into some woods that border the neighborhood, is still growing owing to a water main break. Don’t panic, though! No one was injured and no homes in the area were damaged, though the event did cause the area to be evacuated.